Do you know if it's possible to set these same values (FileCount, RotationType, etc.) as arguments in the Server Start tab > Arguments field of the Managed Server? 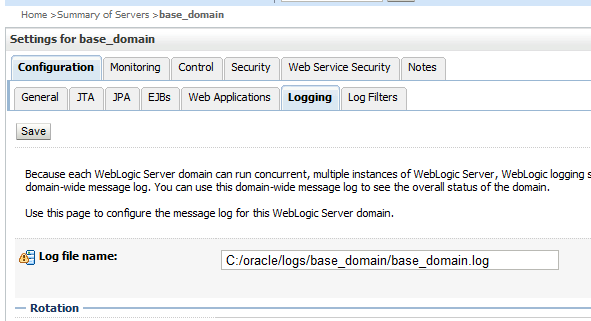 For some reason, after adding those two arguments to my Managed Server start (-Dweblogic.stdout and -Dweblogic.stderr, pointing them to my .log), I lost control of this log file, that I used to control using the WebLogic console itself (Managed Server > Logging > General). How to get this weblogic configuration page? thanks for this good overwiew. How can we rotate *.out log file at windows platform. This Script works fine till the rotation, but after .out file is rotated server is not able to write to the .out it is remaining at the size 0KB. Can you please let me know if there is any way to avoid this? 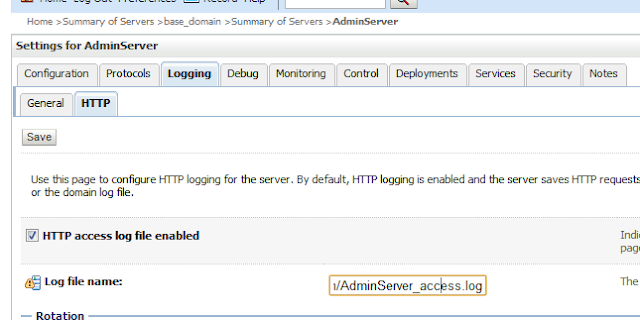 Is there any way to access the logs of the weblogic server programatically. I want to access the logs of a weblogic server using java class but have to idea how to do it..
is there a way to delete .out and .log files in the future(means we have got .log and .out file today and tomo if we wish to remove the yesterday generated files).Is this option possible. with unix scripting and contrab you should come far. 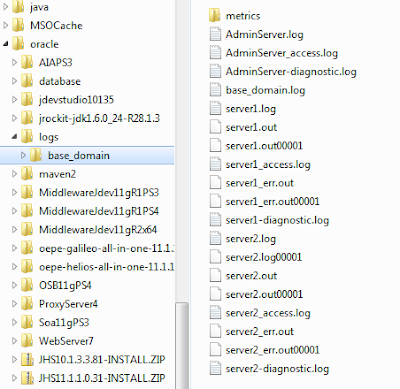 This is really nice blog, I got useful information but in my domain under adminserve/log directory I could see one more log file -gc.log. In server start property nothing is given, I don't know from where this file is getting generated, I want to move this file lcoation as well. As always, nice article! 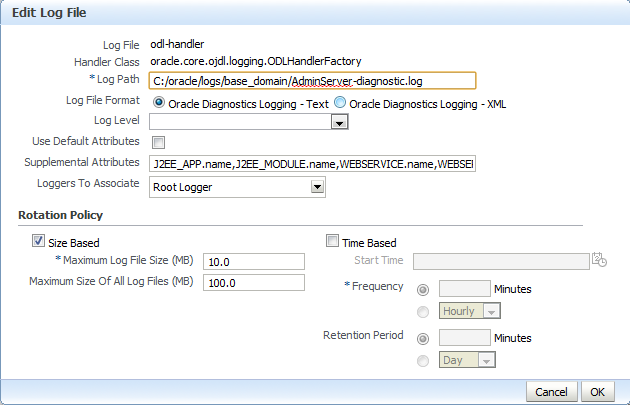 Question, is it possible to change diagnostic-logging rotation strategy outside the Enterprise Manager? 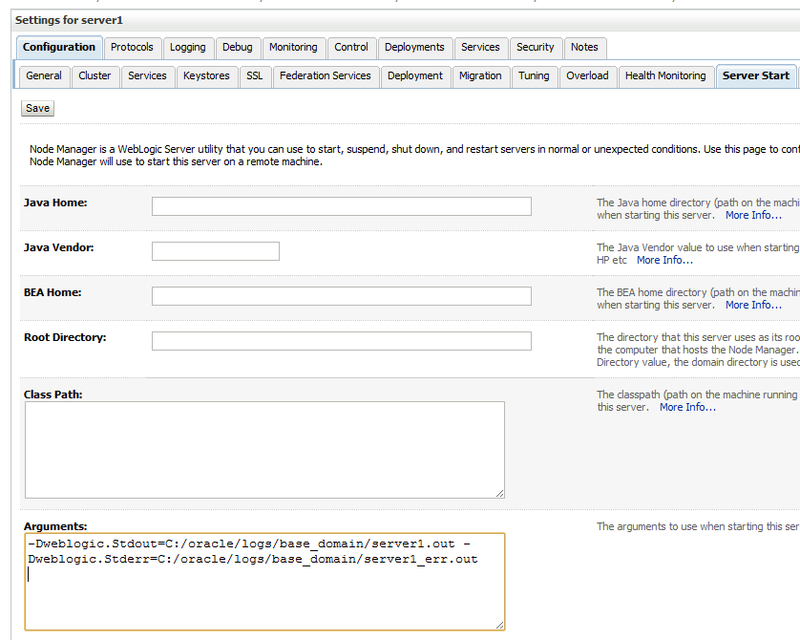 I mean, using Weblogic console. only with EM and with WLST and you need to use the wlst.sh of the oracle_common home. Thanks for the post ! Once again, a very useful message. 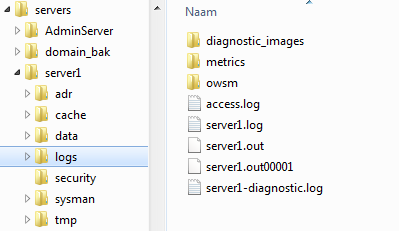 Maybe a bit "out of the scope" but, is there a way to split the managed server's log into 2 files, one containing ERROR and INCIDENT_ERROR logs and the other containing the rest of the logs ? Or, at least, is there a way to isolate in a file ERROR and INCIDENT_ERROR logs even if they are also in the "normal" log ? 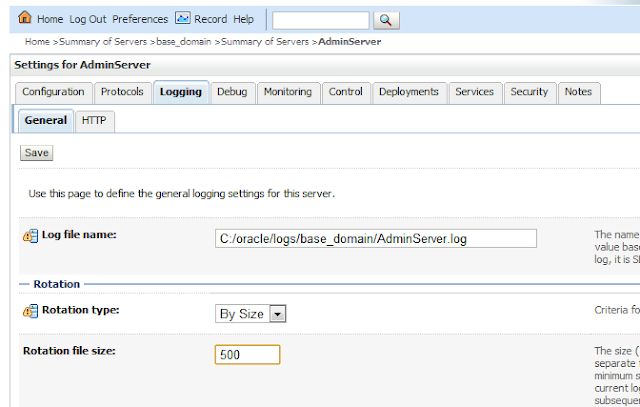 with the FMW ( odl ) log configuration you can do what you want. I have deployed my adf application on weblogic 10.3.5 instance. In my code, i have mentioned to generate log statements "application.log" file in log4l.xml. 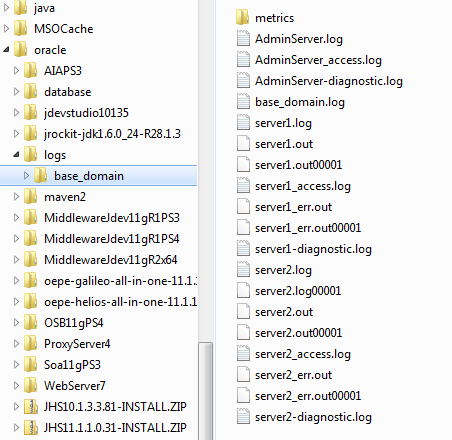 But unfortunately, log statements are generated in "portalNodeName.out" file.